With the long run of repaints into the new swoop livery by Plymouth Citybus its easy to forget that First Devon & Cornwall have a new livery as well. Repaints here have been much slower though. 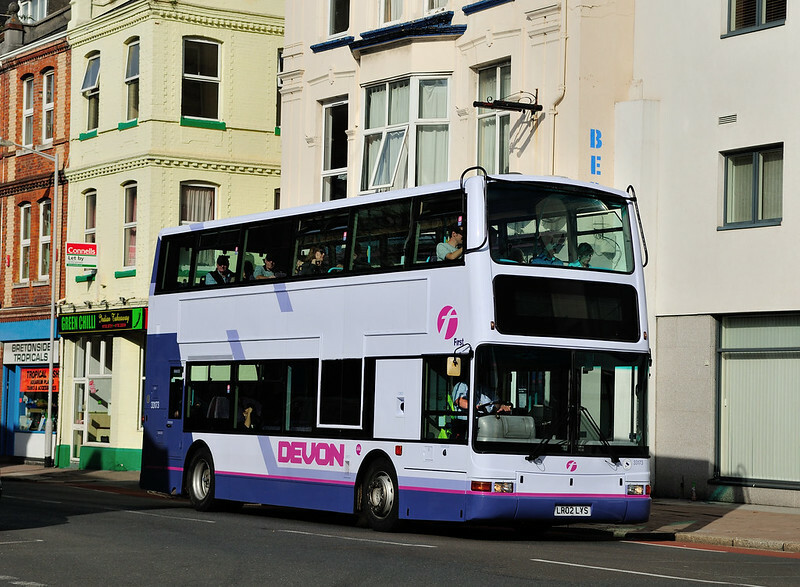 The latest to hit the road is Dennis Trident 33173 which carries the new scheme really well.